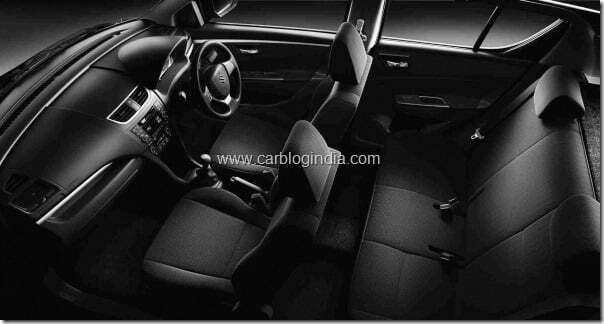 Maruti Swift 2011 Petrol Vs Honda Jazz 2011– Which Is Better And Why? Honda SIEL India has recently revealed its facelifted Honda Jazz 2011 in India at jaw-dropping prices starting at Rs. 5.5 Lakhs ex-showroom Delhi. This price drop has brought Honda Jazz in competition of many other existing hatchback’s price bracket in India. With these prices, it is all set to eat a share of the sales pie of hatchback to a greater extent now. In Car Blog India Comparison series, we will today compare it with the hot hatch from India, the all new Maruti Swift 2011 which is already making a lot of news with high bookings even before it was officially launched. Since both the cars have been launched in India, this is a good time to check which one is a better deal. Maruti Swift 2011 has got improved exteriors and is larger than the older generation Maruti Swift. The new Swift has got better looking front fascia, more attractive headlamps, tail lamps, a new rear hatch and overall much better than the previous Swift in many subtle ways. It has aesthetic appeal of its own and looks good in absolute terms. Honda Jazz on the other hand looks much different and out of the contemporary, just like Swift is a non-contemporary design. Jazz is like a water drop design which seems inspired from the aerodynamic rain drop and characterizes the high quality of Honda engineering capabilities. The front and rear fascia is more attractive compeered to Swift also there is more space inside as the Jazz is larger in length as well as height. Intelligent packaging of Jazz gives it much larger interior space and it has also got a larger wheelbase compared to Swift 2011. Both cars are good looking, but Honda Jazz impresses me more in terms of exterior looks. Maruti Swift 2011 interiors are of better quality than the previous Swift and plastic quality is also much improved. The new dashboard gives a better and sleeker feel. All in all the dashboard and interiors look better than the old gen Swift, and has been kept in black and grey tone for sporty looks. 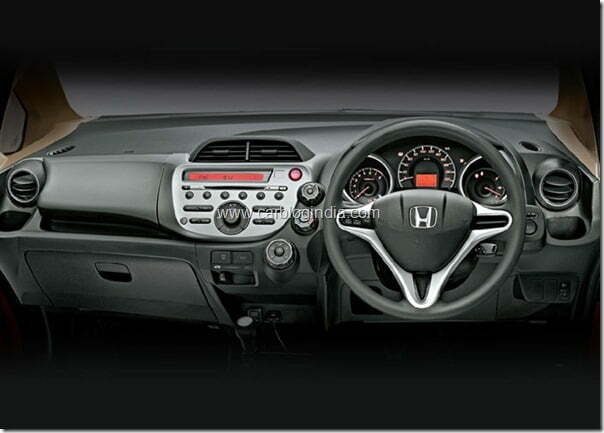 Honda Jazz on the other hand comes with beige-black and blue-black interiors. The dashboard of Jazz looks very premium and is made with good quality of plastics. Comes loaded with loads of good features like the reclining rear seats, Integrated Audio system with aux and USB, auto folding outside rear view mirrors in top variant etc.. 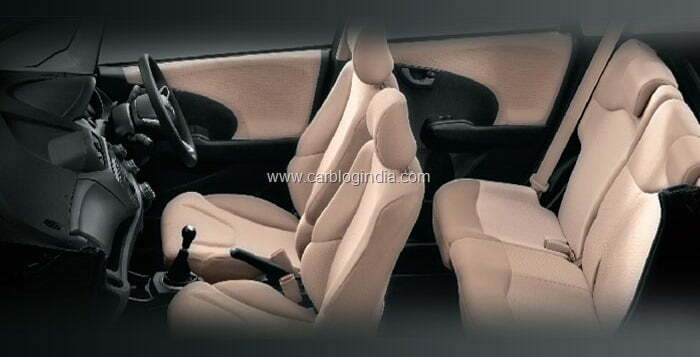 In terms of Interiors, we find Jazz to be much better compared to the Maruti Swift 2011. Considering the engine specifications, both these cars come with a 1.2 Litre MPFI Engine which deliver almost same power output and torque. The improved K series engine from Suzuki and i-VTEC engine from Honda are strong contenders. With Honda Engine delivering slightly higher power at same RPM and slightly less torque at higher RPM means that Swift engine may give you a slightly better punch considering the fact that both the cars have almost same kerb weight. In handling, Swift is the leader of its segment, but Jazz is not far behind. While Swift Petrol is quite agile, rev-happy and handles very sharply, Honda Jazz is also very smooth, refined and handles quite well. In absolute terms, both cars handle very well, but when it comes to comparison, Swift come out to be more sharp handler with stiffer suspension tuning while Honda Jazz is slightly behind it as it is tuned for softer suspension, thus lags slightly on sharp handling on high speed cornering etc. If I have to pick one of the two, Swift is better, but not far better, just a little better. Comparing on price front, if you want a no frill value for money car without any safety and features and gadgetry, the Swift Petrol LXi variant is priced way below the base variant of Jazz. The reason why Jazz is priced higher is the fact that Jazz is fully loaded with all the safety features and gadgetry right form the base variant with just a few features which are missing from base variant. However, in Swift, most of the safety features and gadgetry are missing in Lxi and Vxi. In terms of safety, Jazz base variant is as loaded as the top end Swift Zxi which is priced at Rs. 3,000 more compared to the Jazz base variant. So the bottom line is Jazz gives you more value for your money, but does not have a low end model like Swift without frills. If you don’t mind spending extra bucks for safety and features, Jazz provides much better package in a reasonable price. Comparing the Swift Zxi with Jazz base model, the Jazz provides almost all the features which Swift top end variant has except for driver seat height adjust, alloy wheels, climate control and fog lamps, for which the next variant of Jazz, the Jazz Select priced higher by about Rs. 25,000 provides some of them with chrome grille, alloy wheels and additionally reclining rear seats etc. If you are not on a budget and considering a car with safety features like ABS and Airbags, I would suggest you to go for Honda Jazz as its comfortable, safe, refined, larger and priced right after the 2011 facelift has been announced. However, if sharp handling is your top priority and you can do with less comfort and features, Swift is the car for you. Swift will suit your needs more if you are looking for a lower priced car without ABS and airbags as Jazz does not offer any such variants.